The Republic of Korea is the 'coffee republic'. Koreans drink 26.5 billion cups of coffee a year, which is equivalent to 512 cups of coffee per person. The coffee market is also on the way to growth. Last year, the domestic coffee market size was about 11.74 trillion won, nearly four times that of 10 years ago. The number of coffee shops is estimated to be more than 100,000, which is more than the number of convenience stores and fried chicken joints combined. In the fierce battleground that is the Korean coffee market, Starbucks continues to be the top player. Starbucks Coffee Korea is flying high, recording the second consecutive year of reporting revenue exceeding 1 trillion won. Last year, sales increased by 26% and 34% YoY with 1,263.4 billion won in sales and operating profit of 114.4 billion won, respectively. A Twosome Place, second in the industry, falls far back in comparison, with last year's sales at about 200 billion won and operating profit at 30 billion won. In the industry, Starbucks was able to take control of the coffee market because of its aggressive store opening strategy. Starbucks directly operates all 1,150 stores in Korea. 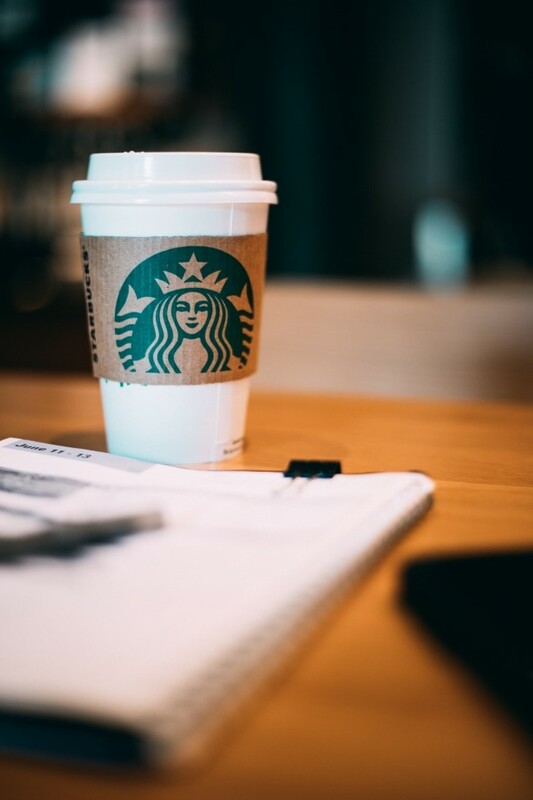 Unlike other coffee shops where direct shops and franchisees coexist, Starbucks is free to open stores within close distance from each other because it is not subject to the limit of one shop for each 500 meter radius, intended to protect franchises. However, expanding the number of stores is not all that matters. Starbucks' sales and operating profit growth exceeds the increase rates in the number of stores. Rather, the increase in the number of stores is highly likely to cause mutually destructive inter-store competition. Starbucks has something beyond it. 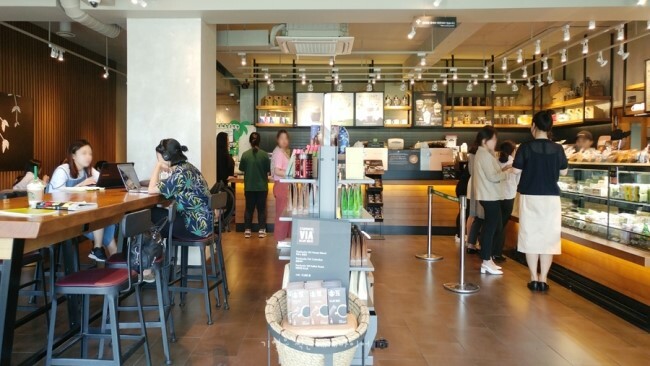 What is the secret behind Starbucks’ attraction of Korean consumers? Howard Schultz, the founder of Starbucks, summarizes the secret to his success: "It was a critically effective to sell experience and space alongside coffee." He says that Starbucks' real product is the experience of relaxing in a comfortable space with coffee. Starbucks' strategy in selling the Starbucks culture is sophistication. Schultz identified the core customer base as the high paying female worker, and dressed Starbucks as a luxury brand to meet the customers’ needs. The cup size was changed to the Italian, ‘Tall, Grande, Venti' instead of 'Small, Medium, and Large' to create a more refined image. In Korea, the pleasant atmosphere of stores, comfortable chairs, and varied services made Starbucks a place where people want to stay. Starbucks introduced free Wi-Fi service in stores for the first time in Korea through a contract with KT in 2010. In addition, the outlets installed in the stores have contributed to establishing the Starbucks as a cultural space, accommodating those who want to ‘ca-tudy,’ (cafe + study) and stay in a ‘coffice’ (coffee + office). This premium strategy paid off. Consumers began to buy the premium image and atmosphere of Starbucks. This is another reason that merchandise with the Starbucks logo sold extremely well. Beyond the performance and design of the product, the merchandise represents the brand value of Starbucks. 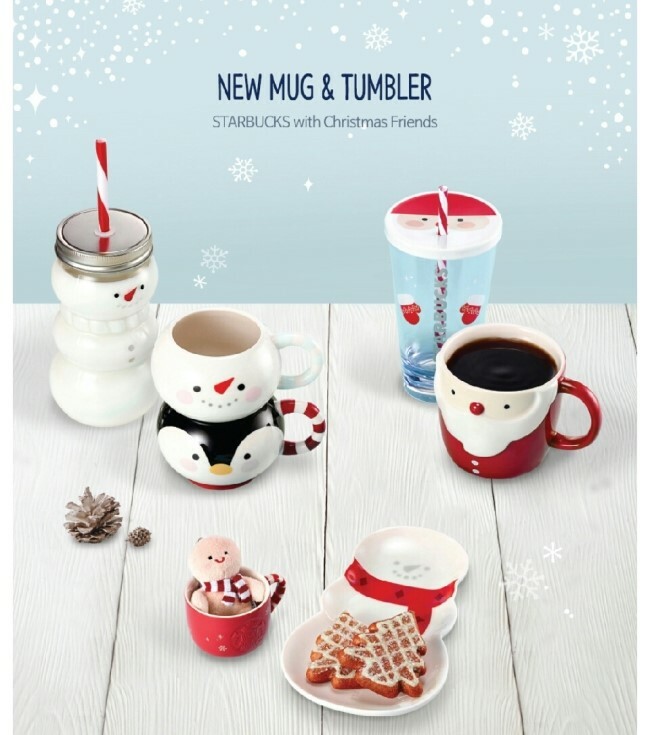 Starbucks sells more than 400 kinds of merchandise products annually, including tumblers, mugs, and coasters. Most of them will be sold out within the one-month promotional period. For especially popular products, long lines form in front of stores from early morning to get them, and people even resell products online. The Starbucks scheduler available at the end of every year had become a phenomenon by itself. 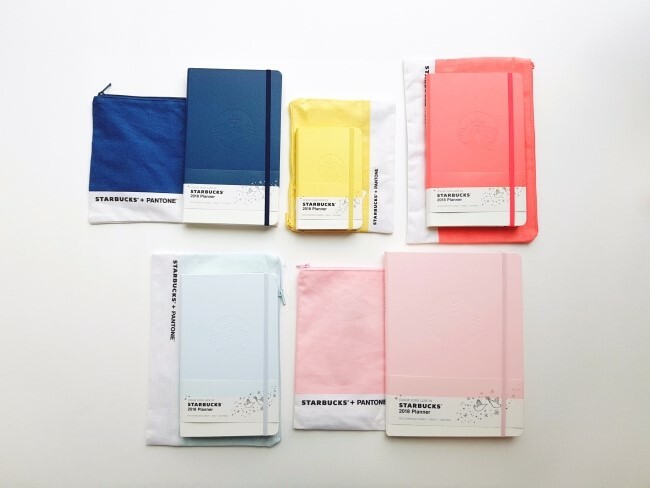 Every year, Starbucks gives out a diary to customers who drink 17 beverages including the holiday season specials and collect stickers. The color and design change every year, and some designs even sell out early in the season. The sales of Starbucks in Korea is ranked fifth in the world and top in terms of sales volume adjusted by population. Starbucks' popularity in Korea is due to its localization strategy. Starbucks works with local companies when marketing to overseas markets. Starbucks Coffee Korea was also established in the form of a joint venture between Starbucks headquarters in the US and Shinsegae in Korea, each holding 50% in stakes. 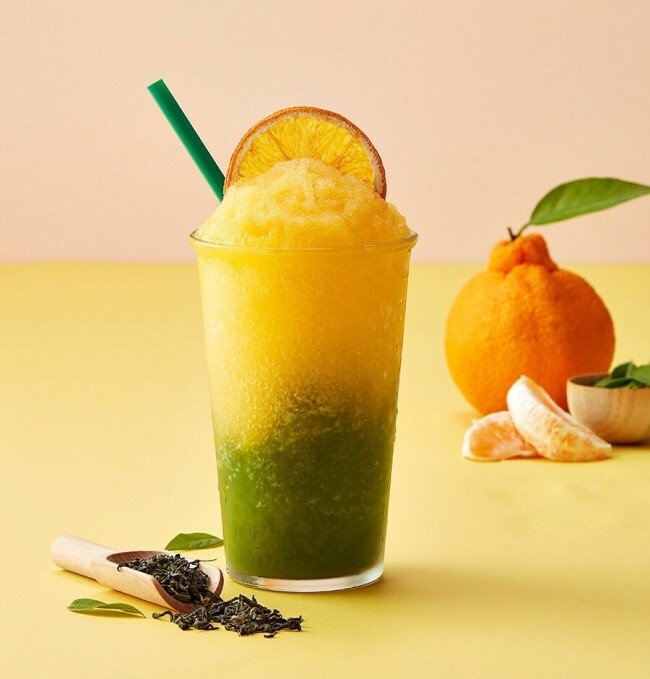 The Starbucks menu also attempts to target Korean customers’ taste. More than 70% of the beverages sold at Starbucks are original beverages developed in Korea. Seasonal menus that use seasonal ingredients and local specialties attract consumers' attention every time they are released. Mungyeong Omija Fizzio, Gwangyang Yellow Plum Fizzio and Jeju Hallabong Matcha are some examples. In particular, Rice chips using Gyeonggi rice have become a bestseller with more than 1.8 million units sold over 10 years after its launch. Localization efforts can also be found in store and merchandise product design. Starbucks Gyeongju Bomun Lake Drive Thru Store has a floor seating area, and Starbucks Insadong Store is the only one in the world that uses non-English signage written in the local language. More than 80% of merchandise products are developed by domestic design staff, who actively utilize Korean traditional images such as Hangul and ancient palaces. Innovative services implemented only in Korea are also examples of localization. Starbucks introduced a number of digital services that utilize the Korean IT technology infrastructure. 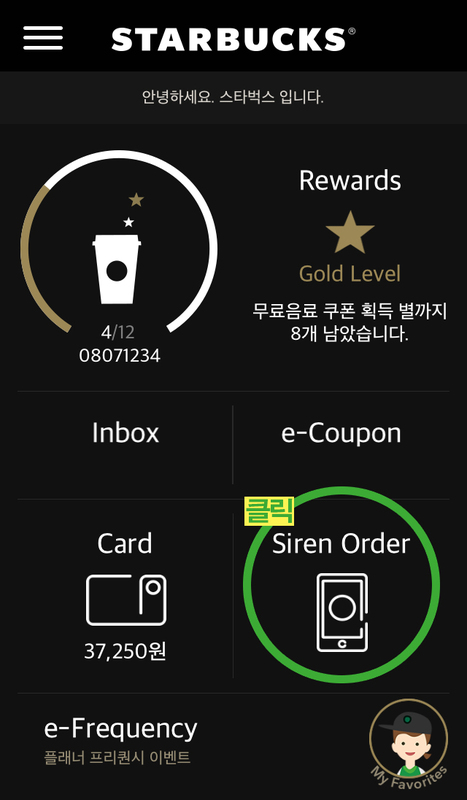 In 2014, Starbucks Korea introduced 'Siren Order' for the first time among all Starbucks chains worldwide. This is a remote ordering method with which a user can pre-order through a mobile application to a store within a radius of 2 km. Payments are made easily using credit card information of rechargeable Starbucks prepaid card information stored on the app. The siren order system is indebted to the particular situation in Korea. Unlike foreign countries where single-floor stores are dominant, Starbucks in Korea operates many multi-story stores with two or three floors. However, Starbucks does not use a device to signal to customers that their order is ready, but instead calls out the name or nickname of the customer directly to let them know that the ordered drink has arrived. This is because of the company’s management policy, which emphasizes communication with customers. As more customers found this inconvenient, Starbucks Korea was induced to release the siren order system.